Chin Up Goggles are delighted to announce we have reached an agreement with Will Ashby to become an agent for our product in the UK market. The following is a short bio on Will and his sporting background. We want to welcome Will to the Chin Up Goggles family and wish him well as he brings the product to the UK using his experience and wide network of contacts. Will Ashby is Co-Founder of Bespoke Sports Services set up in 2016 to support the development of athletes, clubs and organisations within the sports industry. 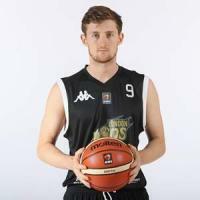 Having played professional basketball for a number of years, the majority in the English NBL Division 1, Will has had an extremely successful career winning may trophies including the Division 1 League title in 2015 with the Essex Leopards. Last year he played in the BBL for the London Lions and in the Spanish Primera Division for Roquette Benifaio.